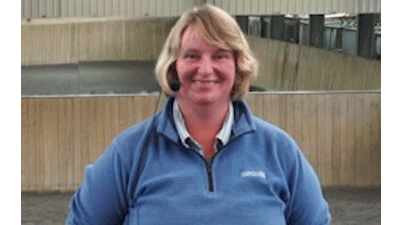 Mary Wanless: Introduction and Toolkits – Mary Wanless introduces the day and the three toolkits which make up the training of horse and rider. Basics Groundwork – A demonstration showing how groundwork can be used to develop the horse correctly with Ali Wakelin. 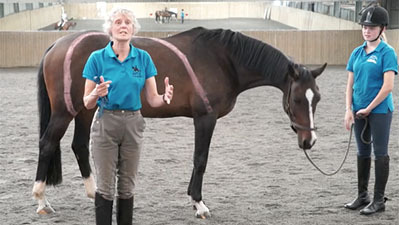 The Basics of Fascia - A demonstration with Mary Wanles using a painted horse to show fascia in the horse. Mary will also demonstrate fascia for the human form. Transferring Groundwork To Ridden – A demonstration showing how groundwork can be transferred into ridden work with Ali Wakelin featuring Sam Turner. Rider Biomechanics Demo - The Front and Back Lines – Mary works with two riders which she has not worked with before, demonstrating corrections in the human fascia and the affect on the horse. She'll be focusing on corrections in the Superficial Front Line and Superficial Back Line. Advanced Groundwork – A demonstration showing how groundwork can be used to teach more advanced movements such as lateral work with Ali Wakelin featuring Sam Turner. Rider Biomechanics - The Spiral & Lateral Lines Mary looks in more detail at human fascia and with the help of two riders looks at steering the horse's withers and the start of ridden lateral work. Q&A – A chance for the audience to ask questions and get answers from our experts. Learn new skills, understand more about fascia in the horse & rider, see demonstrations of rider biomechanics in action, Q&A session and much more! LAST REMAINING TICKETS AVAILABLE FOR PURCHASE WITH CREDIT CARD £45! Mary Wanless is an internationally renowned coach, and is the author of the Ride With Your Mind books. She has also authored 12 DVDs. She considers herself the most serious researcher worldwide into rider biomechanics. 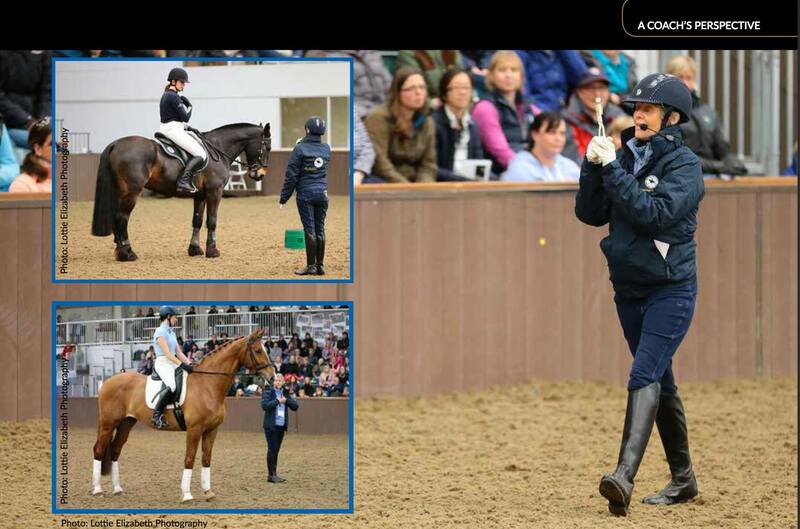 Mary coaches riders at all levels, from many ‘average’ riders to several renowned US dressage riders. She has B.Sc. Degrees in both Physics and Applied Sports Coaching, and holds the BHSI certificate. When her ‘outstanding work came to the notice of board of trustees’ she was elected as a Fellow of the Royal Society of Arts, Manufactures and Commerce. Mary considers that public speaking is her only talent! Whilst she is unusually good at coaching, riding and writing, these are all learned skills. Her coaching career in the USA began in 1991 with an invitation to speak at the California Dressage Society annual meeting. She has also spoken at the US Dressage Federation’s Annual Convention. She has known Kyra Kyrklund and her husband Richard White for many years, and taught Richard before he left the UK to become Kyra’s partner. Over the years, Richard became Mary’s coach, and they frequently collaborated over the biomechanics of riding. Her other teachers have included Nuno Oliveira, Egon von Neindorff, Ferdi Eilberg, and Hans Heinrich Meyer zu Strohen. Mary has coached US dressage star Heather Blitz for over twenty years, and they now have a reciprocal coaching relationship. Heather has brought to the RWYM approach her own unique ways of solving training issues, and she is a genius at ‘getting through to’ horses of all types and dispositions. Her skills as a trainer have been built on exemplary rider biomechanics, and this gives them unrivalled clarity. Mary considers Heather our best living example of correct rider biomechanics, put to work through wonderful training! Ali Wakelin is a fully certified RWYM coach. She has been trained by the world renowned coach and author Mary Wanless. Ali teaches alongside Mary at clinics on a regular basis at Mary’s Oxfordshire yard. Ali is a BHSAI, a certified RWYM coach, holds a Diploma in Sports Psychology, and has also undertaken extensive training in the methods of Dr ANDREW MCLEAN (Australian Equine Behaviour Centre – www.aebc.com.au). Ali is one of very few trainers outside Australia who have trained in this method. Ali combines Rider Biomechanic training (RWYM), Clicker training and the classical, scientifically based horse training system of the AEBC into a unique Horse/Rider learning experience. This system of training is both ethical and evidence based (based on the most recent scientific research). Ali strongly feels that gadgets, force and punishment have no place in any training system. Ali’s methods are suitable for all horses and riders whatever their age, stage of training or type. Ali has trained many different types of horses/riders using this system including members of the British Icelandic Riding Team, British Endurance team riders, TREC competitors, all levels of dressage and many show jumpers. This method also offers long-lasting and reproducible training solutions to many behavioural and handling issues such as loading, clipping and spooking.